Initially inspired by Savile Row as a designer, for SS18 Patrick Grant took elements of finery, merging them with chilled undertones. 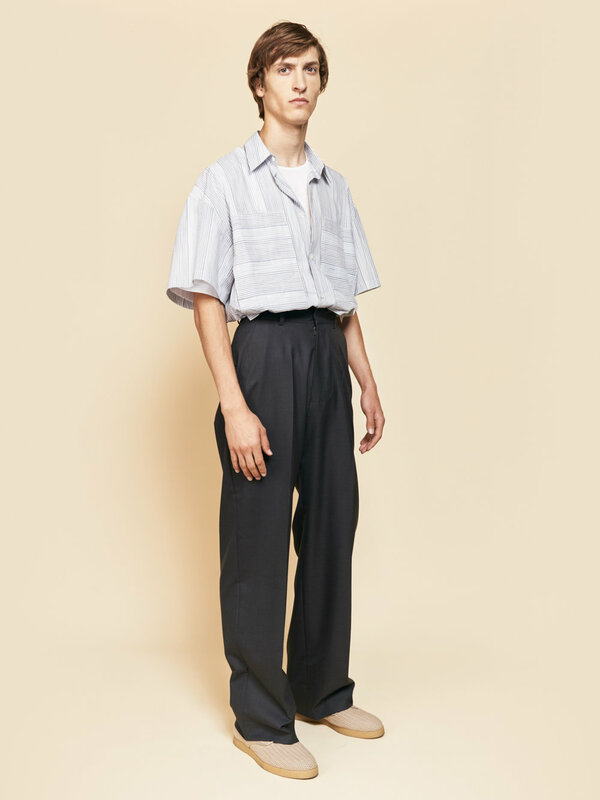 Wearing oversized tortoise shell glasses and pinstripe suits, the collection for E.Tautz SS18 had a decidedly 80s-subdued-New-Wave-meets-Miami-Vice-feel; finished with shoes by Christian Louboutin, both polished and relaxed styles were bought together into one ensemble. Working upon formal structures, Grant infused them with a relaxed tone that transformed them into a new form of ‘smart casual’. Blazers hung loosely from the model’s shoulders whilst still maintaining a crisp tailored silhouette; high waisted trousers created a rigid shape that was then counterbalanced with a sense of fluidity that materialised upon movement. Predominantly focussing on outerwear and formalwear, Grant also revamped the Safari with an 80s feel, projecting pinstripes onto a white canvas that maintained a desirable amount of fluidity and structure. Designers explore a number of concepts to establish the foundations of their collection, thoroughly researching each facet prior to its materialisation. 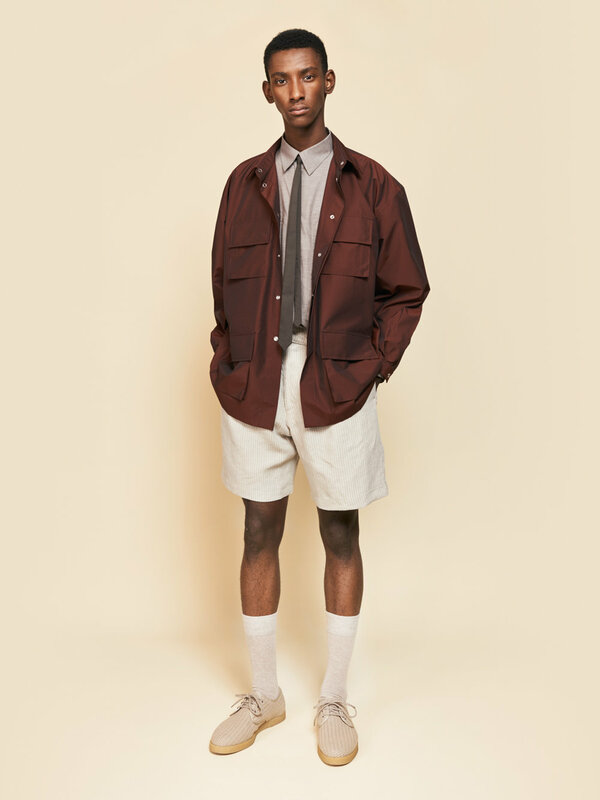 John Smedley SS18 went over and above this approach, embodying his ideas with a sense of meticulousness that was very much apparent within the collection. Featuring plenty of florals and frills, Christopher Kane SS18 innovatively worked upon the notion of domestic goddess, creating a number of shapes and cut outs from a source that may not typically be deemed as possessing potential in fashion.